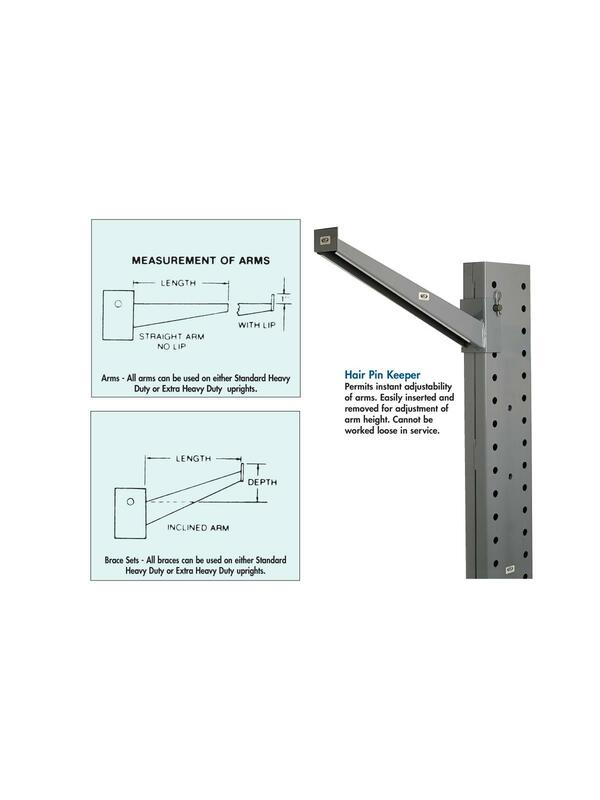 For use with Rugged Cantilever Racks. Arms are adjustable 3" up and down the full length of the upright. 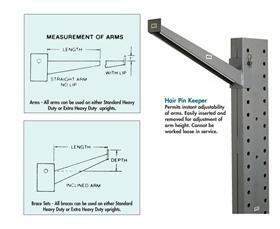 Uprights are punched on both sides for use as single-sided or double-sided units. Arms and Uprights are ordered separately. 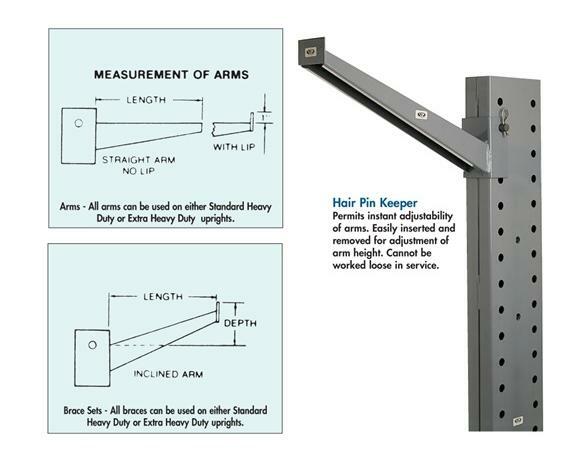 All rugged heavy-gauge steel construction for sure, safe support of heavy loads and long life. FOB Shipping Point. See Related Items tab for braces and uprights.